Jersey offers a taste of the continent with the familiarity of home! This tiny island boasts sunny beaches, hidden coves, sweeping bays & dramatic vistas. 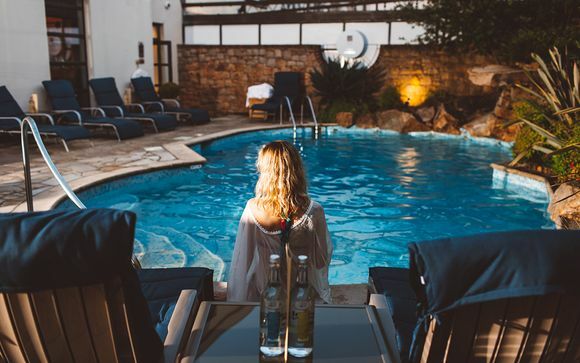 Indulge in some much needed relaxation in the hotel's fabulous spa where you will find a heated saltwater pool, numerous treatment rooms and talented masseuses. Dining at this hotel is a real treat, Michelin-starred chef Steve Smith produces inspired cuisine that excites all the senses. Jersey enjoys some of the most varied landscapes that some countries would find hard to compete with, in only 45 square miles! From the cliffs on the north coast, home to many birds including puffins, to the golden sand beaches on the south coast. 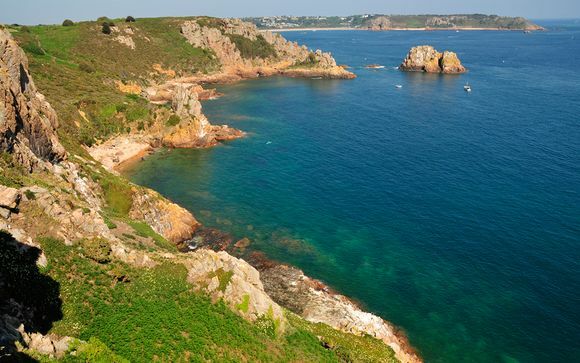 With unspoiled landscapes and a unique blend of British and French influences, Jersey really is a place where you can get away from it all. Relax and enjoy the famed hospitality of its people, and lose yourself in the Island’s winding lanes or on its breathtaking coast. Culture vultures will discover history at every turn, walkers will be captivated by the Island’s stunning natural beauty, and families can relax without a care on pristine beaches. It’s also the ideal place to clear your head, indulge in some exhilarating outdoor sports, or relax! The hotel boasts luxurious rooms, a fantastic Michelin starred restaurant and a chic honesty bar. Head up to the terrace to enjoy a glass of wine or unwind, relax and rejuvenate at the spa with indoor saltwater pool. The Club Hotel & Spa is the perfect retreat after a long day exploring Jersey. - Deluxe Double / Twin Room (14m² / max. 2 persons): These rooms feature floor-to-ceiling windows that flood the room in light, illuminating this executive-style room. - Studio (21m² / max. 3 persons): These open-plan rooms feature a separate seating area, allowing its guests to spread out and relax. 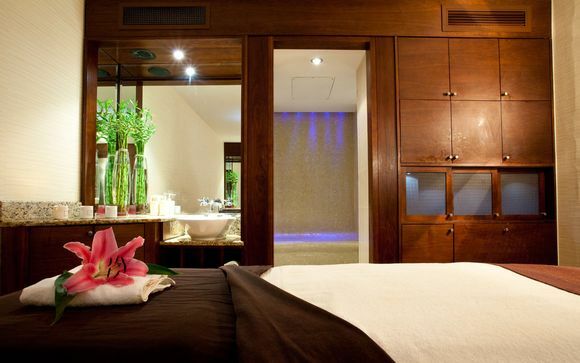 - Deluxe Suite (31m² / max. 3 persons): An entrance lobby, separate sitting room & large granite bathroom give this room an air of sophistication in keeping with the rest of your hotel. - Master Suite (33m² / max. 4 persons): Indulge in an extra indulgent stay when you choose a room that includes a second bathroom that is completed by a private steam shower. - Family Suite (33m² / max. 4 persons): 2 bedrooms, 2 bathrooms & a view of the hotel's outdoor pool, this room lives up to its name & provides a spacious place for families to stay without being on top of each other! Bohemia has been driving the food scene in Jersey since 2005. 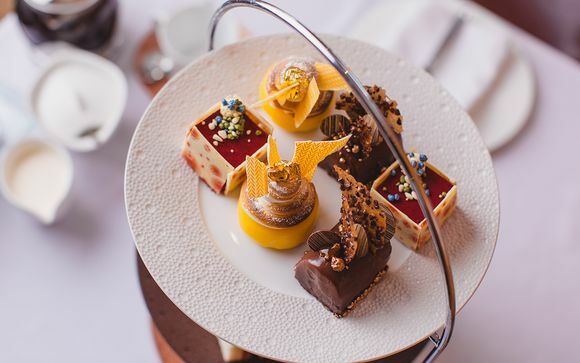 Its ingenious chef has won many accolades for this landmark restaurant including a Michelin Star & 4 AA Rosettes alongside spots on The Sunday Times top 100 UK restaurants and the Top 10 UK restaurants to enjoy dessert. An evening here is truly a unique experience, so treat your taste buds to artistic gastronomy in an elegant, art-deco inspired space. Michelin­starred chef Steve Smith produces some near-unbeatable dishes in Bohemia...The dramatic courses follow each other like scenes in a play; the procession of tableware is as varied as the dishes themselves, which include foie gras cream with sour cherry topped with duck and pistachio, and scallop with smoked eel and shavings of black truffle. Begin your Spa day with a swim in the salt pool or simply sit and enjoy the hydrotherapy bench before you begin one of the thermal treatments which include the salt cabin, herbal steam, sauna, with the experience shower to revive and invigorate. You may choose to enter the Rasul room where you will smooth mineral mud over the body and face enjoying the warmth and cleansing-utopia. The Spa lounge beckons with its soft lighting, herbal refreshments and luxurious loungers inviting you to rest and reflect before your therapist escorts you to a private treatment suite. The transfer time / distance between Jersey Airport & your hotel is approximately 15min / 8km by car.